Our spine has a lot of job to do. Not only it supports the structure of the body but also it has to keep up with all the different angles in which our body is moving. Some of the times, it can be difficult for the spine to deal with all of these problems, hence it can crack down which can lead to pain. In case of severe conditions, our back is also affected. Back pain can be especially painful and it is important to see a specialist for that. At IBS, you will get the finest back pain treatment in Delhi. 1. A muscle spasm, strained muscle and strained ligaments are some of the most common reasons of back pain. All of the above mentioned things can happen if you are lifting something improperly or something that is too heavy. 2. Structural problems such as ruptured disk, bulging disk, sciatica etc also result in back pain. 3. In case of arthritis, spinal stenosis can develop which leads to narrowing of the space around the spinal cord. The treatment of acute spine pain is in the form of surgery which includes spinal fusion or total disc replacement for people suffering from lower back pain. IBS is also known for its neck pain treatment in Delhi. Neck pain is a common medical condition which is caused due to conditions which involve any of the tissues in the neck. Some of the common conditions causing neck pain are degenerative disc disease, neck strain, neck injury, or a pinched nerve. There are different factors involved in neck pain. These include involve in contact sports, motor vehicle accidents, horse riding etc. 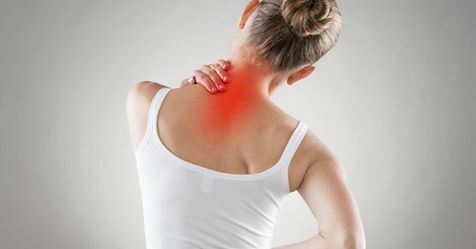 Neck pain treatment generally begins with conservative care in the form of medications, ice therapy, muscle therapy etc. In case of chronic pain, more interventional care is needed.